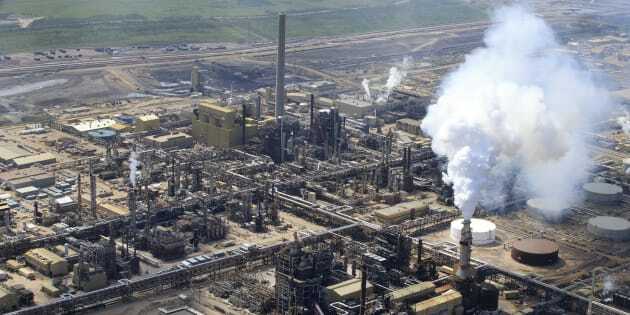 A power failure at Syncrude's facility means production could be curtailed until the end of July. Syncrude Canada's Mildred Lake oilsands project plant, near Fort McMurray, Alta., Tues. June 13, 2017. The shutdown of Syncrude’s oilsands facility last week could lead to a shortage of oil in North America, investment bank Goldman Sachs has warned. The shutdown of Syncrude's oilsands facility last week could lead to a shortage of oil in North America, investment bank Goldman Sachs has warned. Syncrude's facility has a capacity of 350,000 barrels of oil per day, but it shut down production on Friday after a transformer blew, the Globe and Mail reported. The company says production could be offline for all of July. That will shrink stockpiles at the main U.S. storage hub at Cushing, Oklahoma, putting upward pressure on oil prices, Goldman Sachs said. "This loss of U.S. supplies will exacerbate the current global deficit, making the increase in OPEC production all the more required," analysts at the investment bank wrote, as quoted at Bloomberg. "And while Saudi is already ramping up exports, these will not be delivered until August with June stock draws already accelerating." Higher prices could be a boost to Canada's oil industry, which sells oil at a discount to North American prices. The differential spiked at about US$30 per barrel in February, fell to the high teens in April and May as oilsands projects went through maintenance shutdowns, but rose again in the past few weeks as output again filled pipelines. It closed at US$25.50 last Friday. The differential will likely revert back to US$13 to $15 per barrel in July, Barclays analysts predicted in a report. In an email Monday night, Syncrude said a full investigation into the outage in ongoing, but added the cause could have been from a transformer trip. Syncrude has the capacity to produce 350,000 barrels per day, but Barclays estimated it has averaged only 245,000 bpd so far this year because of planned and unplanned down time. It lowered its estimate of third-quarter production from 305,000 bpd to between 200,000 and 215,000 bpd, adding it expects Syncrude to post significantly higher costs per barrel. The analysts say the news is negative for Suncor Energy Inc., which owns about 59 per cent of Syncrude, and Imperial Oil Ltd., with a 25 per cent stake. On June 7, Suncor said in a news release it was ready for "strong production'' this year after completing maintenance at facilities including Syncrude.